The Toyota Prius has been around since the year 2000, while the first generation Chevrolet Volt has only been around since 2007. There are various categories of electric cars. Some you can plug in to charge, some that only run on electricity. There are cars that run on a combination of electric systems and gas powered engines. The Chevrolet Volt is somewhere in between all of these and may just hit the right combination. You can plug it in to recharge the battery, you can drive up to 61 kilometers or just over 30 miles on battery alone, or over 300 miles with a combination battery and gas engine. But the gas engine does not drive the vehicle, rather it powers a generator which provides electricity to recharge the battery and run the electric motors. This combination provides independence as well as gas savings especially in stop and go traffic situations in the city. In addition, when you apply the brakes the regenerative system will also recharge the battery. Recharging can also be accomplished by the standard 110 volt system or a specialized 220 volt recharger in much shorter time. This is one area that the Toyota Prius cannot claim as a feature at the present time. While the Chevrolet Volt outsells all other plugin cars, it has a ways to go yet to catch up to the Toyota Prius. GM is making major changes for their 2016 models. There are updates to the battery systems, distance that can be traveled along with other features. GM allowed reporters to look at the new model at CES. However they were short on details preferring to wait until the Detroit Auto show to really take advantage of the press associated with the show. GM has sold 70,000 of these cars and results from consumers ranked the car number 12 in affordable small cars with an MSRP price of $34,345. The volt gets poor marks for a cramped rear seat area and a small cargo area. However it did well in terms of nimble handling, seamless transition from battery to gas power. What will the 2016 model bring? 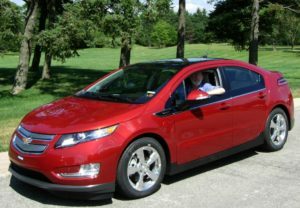 What are the rumors for the latest model upgrade for the Chevrolet Volt from GM? Will it finally overtake the Toyota Prius? Stay tuned for our next post!